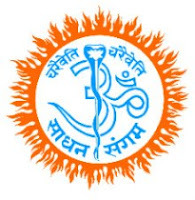 The Government of Karnataka, in recognition of the trust’s services, has awarded a 10 acre plot at Kanva, 60 Kms from Bengaluru, near Channapatna on the Bengaluru-Mysore highway. 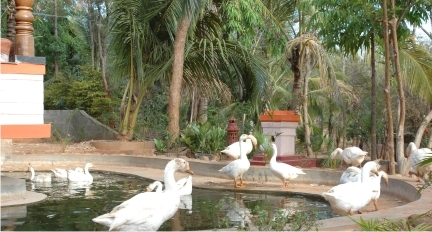 The ashram is situated in the midst of lush green valley, close to Kanva reservoir. 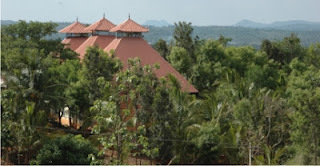 • Dhyana Mandir: It is a spacious meditation hall incorporating 3 pyramid roofs. The hall can accommodate about 500 people. The hall comprises of a 5 feet statue of Ista Anjaneya in meditative posture and also a Stage (dias) for conducting programmes and special events. 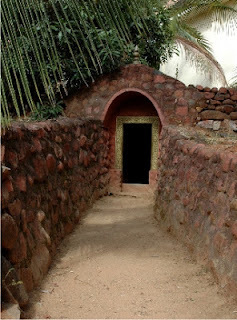 • Sadashiva Chintamani Cave: The cave temple of Shiva has been built underneath the Dhyana Mandir which has a Shivalinga with ‘OM’, ‘Gayathri’, ‘Naga’ and ‘Nataraja’ carved on it. 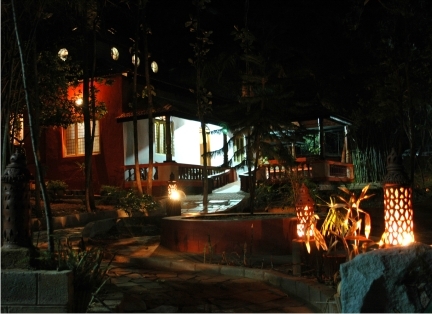 It has been specially built to intensify spiritual aura. • Rajarajeshwari Shikharini: The pyramid has been scientifically built for chakra activation and energization in the Meditator’s body. • The Ashram also comprises of Guru Nivas, Yogashala, Gayathri Kutir, Shakti Peeth, Library, Goshala, residential facilities for guests and Sadhana Vidyalaya.